Russian language belongs to Indo-European languages i.e. to the Eastern group of Slavic languages. It is a maternal language for about 60 million people, thus taking the 7th position on the list of world languages. According to the data of the Cambridge Encyclopaedia, 460 million people speak Russian either as the first or the second language. It is one of 6 official languages in the UN, and in the Russian Federation. In the year 2000, it was proclaimed the fourth most influential language in the world by the International Nuclear Energy Agency. Russian is the official language in Russia, Belarus, Kazakhstan and Kirgizia, while in the past it was the official language of international communication of the states within the USSR in which it left its traces. It is also used in the countries where a large number of the USSR population had emigrated to: Israel, Germany, Canada, the USA… A great number of people in the Eastern Europe speaks Russian as until recently it has been a mandatory language in schools. Translations of general professional documentation from Serbian to Russian language. Translations of general professional documentation Russian to Serbian language. 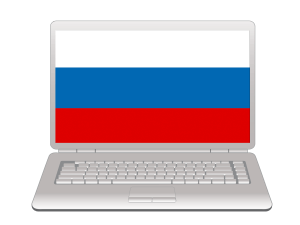 Translations of general professional documentation from Russian to another foreign language. Translations of general professional documentation from another foreign language to Russian. Translations of narrowly specific professional areas from Serbian to Russian language. Translations of narrowly specific professional areas from Russian to Serbian language. Translations of narrowly specific professional areas from Russian to another foreign language. Translations of narrowly specific professional areas from another foreign language to Russian.